​Spring has sprung - get your students interested in some gardening! Not only does this Minute begin with a question, the question is the only sentence in the paragraph! Have your students take a closer look at this one and compare it to other Minutes. Does this work? How does that single question paragraph make the reader feel? Is it an effective hook? Can they try it out in their own writing? Author Hollihan give students a great piece of procedural writing when she describes how to build a small garden. Use this as a mentor text and encourage your students to write some directions about how to accomplish something they enjoy. 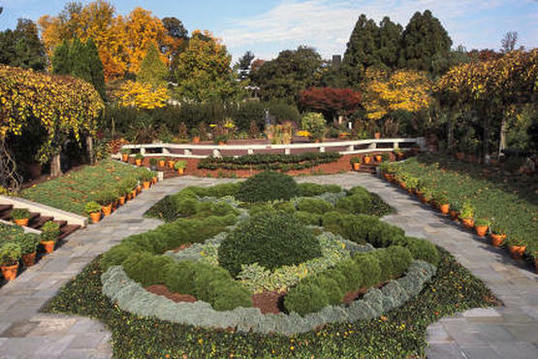 Many of the early presidents were known for their gardens, and these gardens actually contributed to the plants and food crops that were developed as food and ornamental species in gardens for the future. Have students investigate George Washington's estate, Mount Vernon, and its spectacular gardens. Or send them to visit Thomas Jefferson’s estate, Monticello, with the species he brought back from his worldly travels and the historic and scientific explorations that happen there today. Never let it be said that the Brits do not have a tremendous green thumb. Investigate royal British gardens, and have your students check out the history behind them and the influence they have had on the history of gardening here in the US. Finally, check out the kitchen garden that Michelle Obama had installed at the White House during Obama’s presidency. Author Hollihan outlines how to plant a garden. Have your students look at the science behind it. What is the right time and temperature to plant where you live? Have them check out the US Hardiness Zone map and then do a timeline for planting in your area. Will you need to start seedlings indoors? Can you experiment with hydroponic growing? Are there special instructions when growing herbs? Landscape design starts with small gardens. Have your students check out some beautiful gardens online and then design one of their own. Use this opportunity to teach them how to do scaled drawings. Use this Minute to introduce students to botanical resources like arboretums and extension services. Start with the National Arboretum and the US Cooperative Extension System and find your local resources for agricultural advice and education.